FLECONN, as a professional HDMI cable manufacturer, can custom HDMI cables for these devices such as plasma television, high-definition players, LCD TV, rear projection TV,set-top boxes, DVD players, personal computers, video game instrument,digital stereo. HDMI (English: High Definition Multimedia Interface) is a fully digital video and audio transmission Interface. it can transmit uncompressed audio and video signal. The maximum speed of data transmition is 5 GBPS. According to the differences between electric structure and physical shape, HDMI interface can be divided into these four types: Type A, Type B, Type C and Type D. Each type of HDMI is respectively composed of socket used in the device and plug used in the end of cable. HDMI cable supports 5 GBPS data transfer rate and it's farthest transmission distance is 30 meters. It is enough to handle a 1080 p video and an 8 channel audio signal. And because the bandwidth capacity of a 1080 p video and an 8 channel audio signal needs less than 4 gb/s transmition rate, therefore, HDMI cable also has the very big margin. That allows it to use a piece of cable to connect DVD player, receiver and PRR respectively. In addition, HDMI supports EDID, DDC2B, therefore, the equipment with HDMI has the characteristics of "plug and play", between signal and display device will automatically hold "consultation", automatically select the most appropriate video/audio formats. HDMI cables are used to connect host and audio/video external devices. The material specifications of customized HDMI cable is normally adopted by high density of colored woven nylon net + high quality injection molding iron powder core + double-side 4 layers of aluminum foil and high density double layers of shielding net + pure copper tin plated oxidation resistance wire core + copper shell gold-plated 15 u" plug. 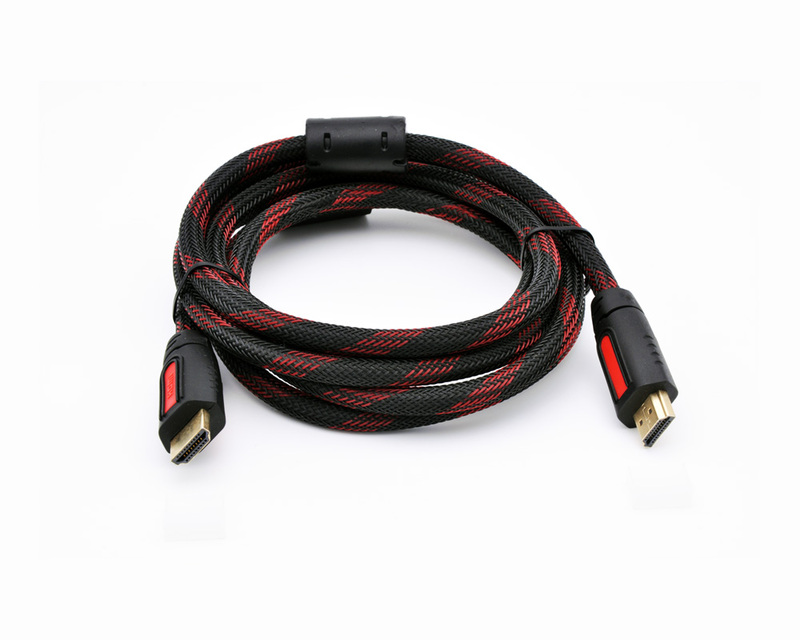 HDMI and HDMI cables can be used in plasma television, high-definition players, LCD TV, rear projection TV,set-top boxes, DVD players, personal computers, video game instrument, comprehensive expansion machine, digital stereo and the TV. It can transmit video and audio signals at the same time. As the video and audio signals are transmitted by the same cable, it greatly simplify the installation of the system. FLECONN, as a manufacturer of connectors and cable assemblies, can custom HDMI cable for world wide clients from these industries of military, consumer electronics, automotive, medical etc. This is electrical Heat Tracing HDMI Cable. There are three types of connector available such as Type A standard HDMI Port , Type C Mini HDMI Interface, Type D Micro HDMI Port. 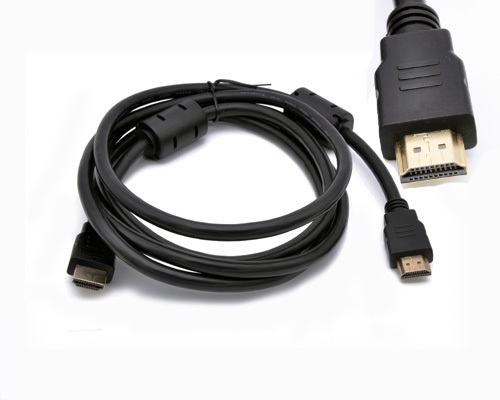 This type of High Speed HDMI Cable can be widely use for computer, laptop, PS3, Top-box, HDTV, LCD, DVD, Displayer, projector device with HDMI type A interface.